As a young boy his friends teased him for talking about atoms and molecules. Now he is likely to strike up a conversation about the relationship between rocks and the aquifer. 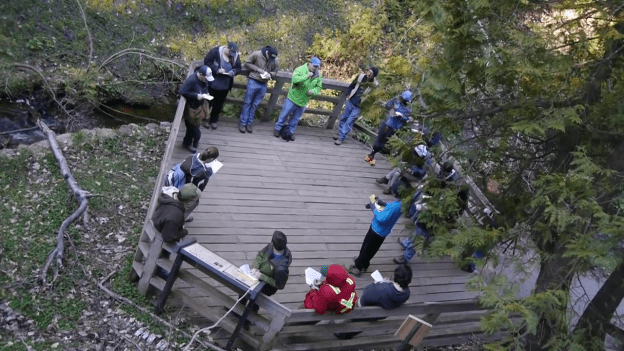 Today’s video spotlight from UW-Green Bay’s College of Science and Technology is Prof. John Luczaj (Geoscience, Natural and Applied Sciences). It’s a great interview with fantastic “b-roll” and some sensational advice for those who love the earth and the outdoors. This entry was posted in Leading & Learning and tagged CSET, geoscience, Natural and Applied Sciences, Video on July 13, 2017 by Sue Bodilly.